I don’t want to take too much credit, but it’s just possible I’m a genius. 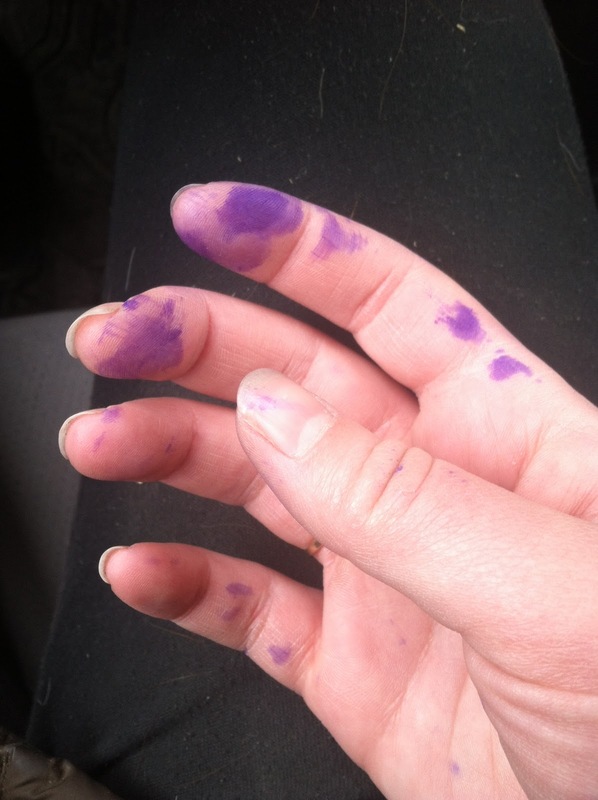 Raise your hand if you’re always too lazy to wear gloves while applying Durasole. I am as guilty as the next person, and then I had a brainstorm. See, about two years ago, a vet gave me a formalin + iodine mixture to apply to Tristan’s feet. I followed instructions for a few days, but hated the stuff, so I tossed it and just stuck to Durasole, and everyone was happier. When Tristan went barefoot, I pulled that out again for a day or two and confirmed I hated it, but realized that its application was genius. 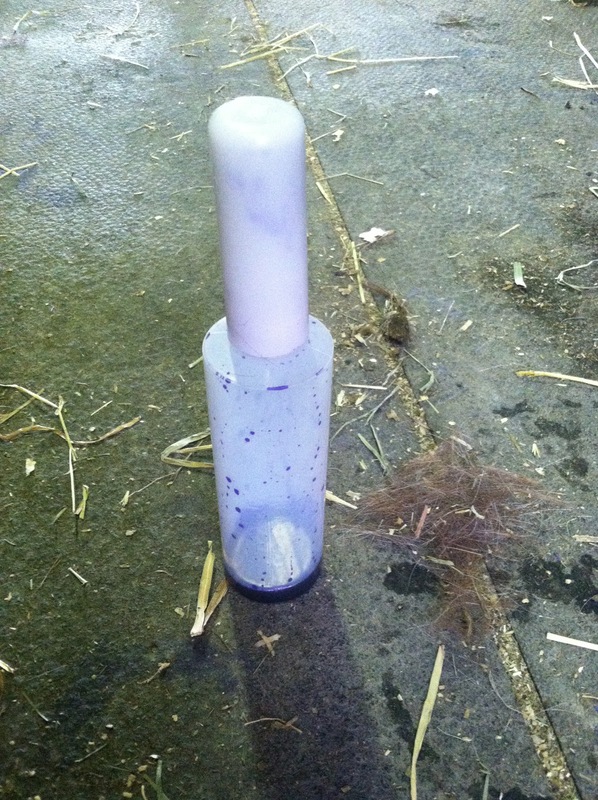 It was contained in a small jar, and the cap had a brush stuck to it. Unscrew the cap, apply the stuff, no muss, no fuss. 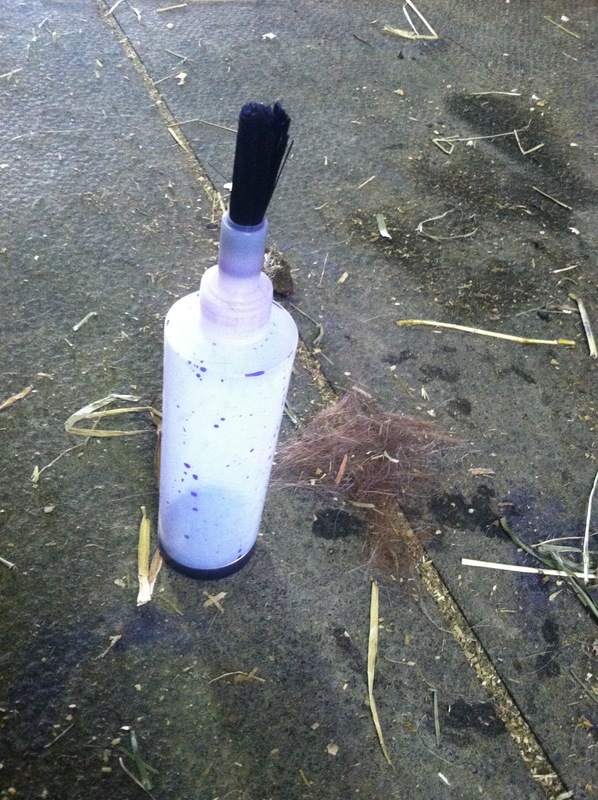 I started hunting around for what might be a similarly useful tool with which to apply Durasole, and I hit on this: Big Horn Glue Bottle With Brush Applicator. I ordered it, crossed my fingers, and last week it arrived. I squirted the last of my current bottle of Durasole in it, and crossed my fingers. 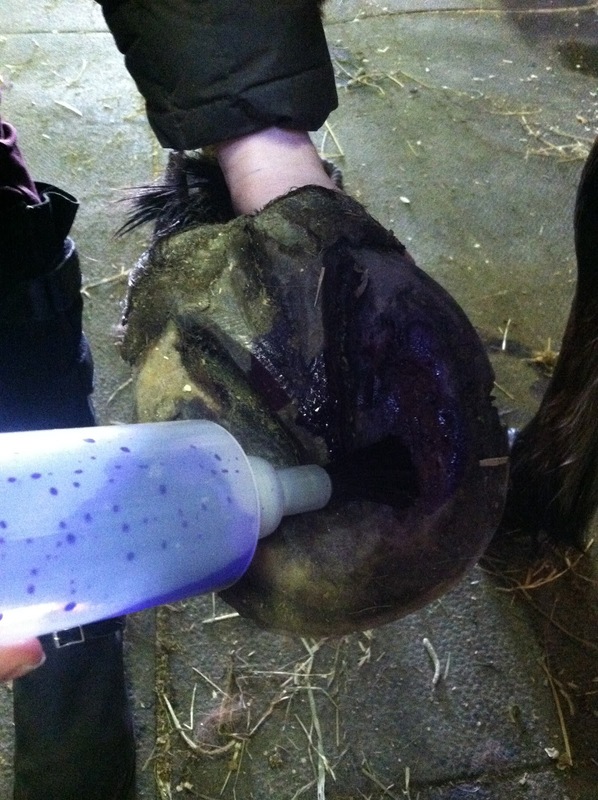 All you have to do is give the bottle the very lightest of squeezes to get it started, and then just paint the brush onto the bottom of the foot. It comes out nicely, but doesn’t explode at all – just the right amount comes out. It takes just a few seconds to do the bottom of the foot, and the long brush means you can stick it right down into the frog crevices. The cap fits on snugly, and I haven’t had a single escaped drop yet. The inside of the bottle is sort of slippery, so all the Durasole pools right at the bottom, not along the insides like it does in its own bottle. The bottle holds 8oz, so two bottles of Durasole, and it minimizes the amount of wasted liquid to a truly astonishing degree. It lets out just the right amount and then it all drains back into the bottle. You do have to be a little careful putting the cap back on but so far that’s honestly the only drawback. Previous Post Exciting news: Tristan is barefoot again! Must get this!! Thank you for sharing! I'm one of those people too lazy to wear gloves for Durasole.